to see your previous orders. 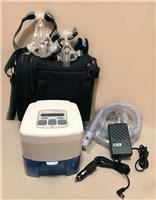 The SleepCube BiLevel ST device is designed to enhance the breathing of patients with spontaneous respiration. Unlike ventilators, it will not completely take over the breathing for the patient, but instead helps a patient who has chronic respiratory failure, difficulty breathing, or obstructive sleep apnoea; it is administered via a mask and is non-invasive. The device automatically synchronizes with the patient’s respiratory pattern, cycling between IPAP and EPAP (breathe in and breathe out). The BiLevel ST can also be set to a timed mode, where the clinician sets the BPM (breaths per minute) and %IPAP; or it can be set to a combination of Spontaneous and Timed operation, where the unit cycles in response to the patient’s breathing rate, but switches to the timed operation if the patient fails to take a breath within the timed interval. 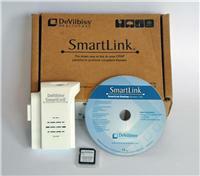 Connecting the SmartLink Module to the SleepCube BiLevel ST allows for the recording of patient data and the ability to transfer it by an SD card to a PC for further analysis and reporting using the SmartLink software package. The optional hardware or software remote control connects directly to the SleepCube or via the SmartLink, which enables the SleepCube to be adjusted from a remote workstation. The SmartLink also offers the option of connecting a pulse oximeter to the SleepCube for recording and reporting additional oximetry data. Flow rounding is a patented technology which eases the transition from IPAP to EPAP by tailoring the users’ requirements to achieve optimal therapy and patient comfort over five levels. 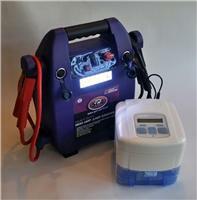 Among the quietest BiLevel units on the market – only 26 dBA! 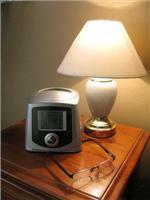 Optional heated humidifier easily docks into the bottom of the unit without requiring a separate hose or power cord.